If you wear jeans every day, grab a pair that will withstand everything a work day can throw your way. 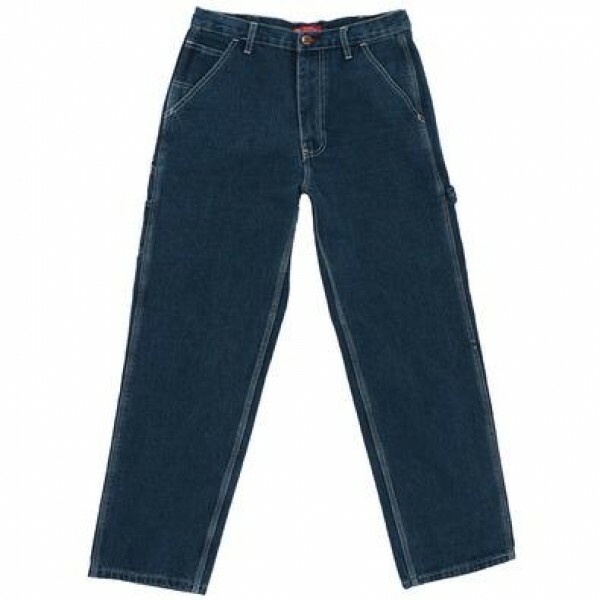 Heavyweight denim and has triple stitched main seams for extra durability. With the working man in mind, these carpenter jeans have a relaxed fit, allowing a greater range of motion. Keep your tools at hand with the carpenter loop and pockets. You will find an IH embossed leather patch on the rear pocket, and taped logo on both the fly and hammer loop. Made of 13½ Oz. weight - 90% cotton / 10% polyester.